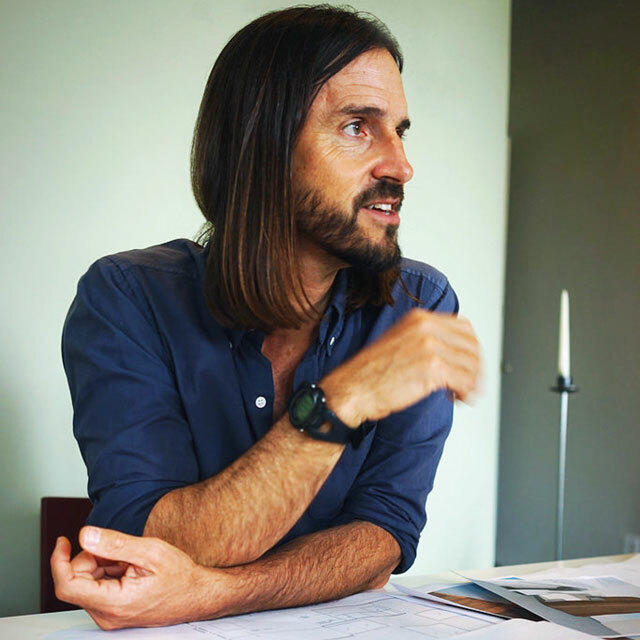 Craig Steely is the principal of Craig Steely Architecture based both in San Francisco and Hawaii. His work explores the boundaries of integration as well as emancipation from nature. They embrace the realities of the environment and our connection/separation to it over the subjugation of it, all the while focusing on developing a singular architecture rooted in its context. 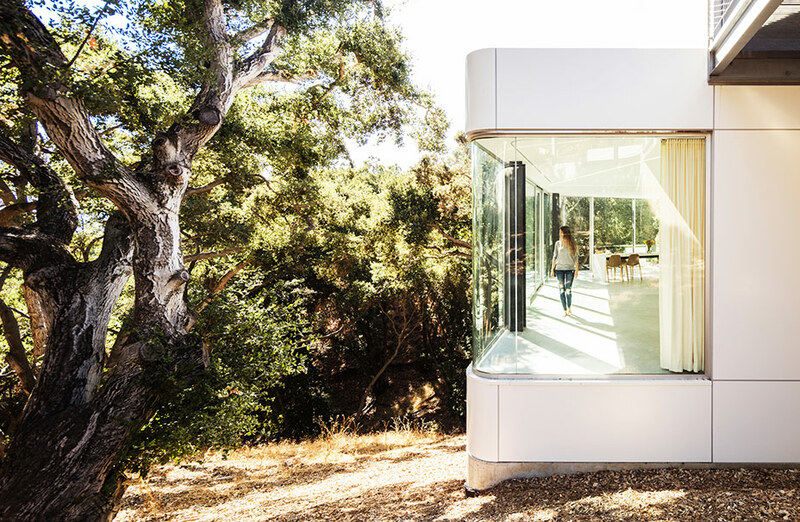 We sat down with Craig to discover more about his most recent project: ‘Pam & Paul’s House,’ a stunning new residence nestled in the Santa Cruz mountains. 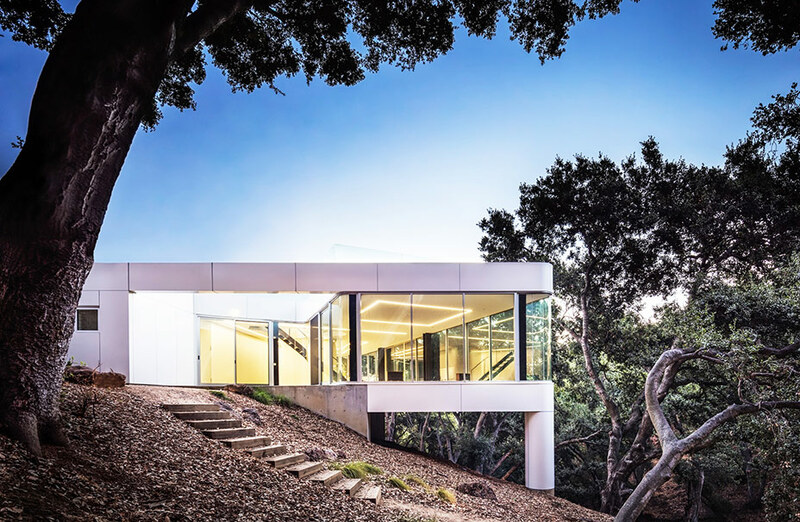 Here, he discusses his first experience in San Francisco, wild turkeys, and the delicate balance of seamlessly uniting architecture and nature. Can you tell us about your most recent project ‘Pam & Paul’s House’? Sure. 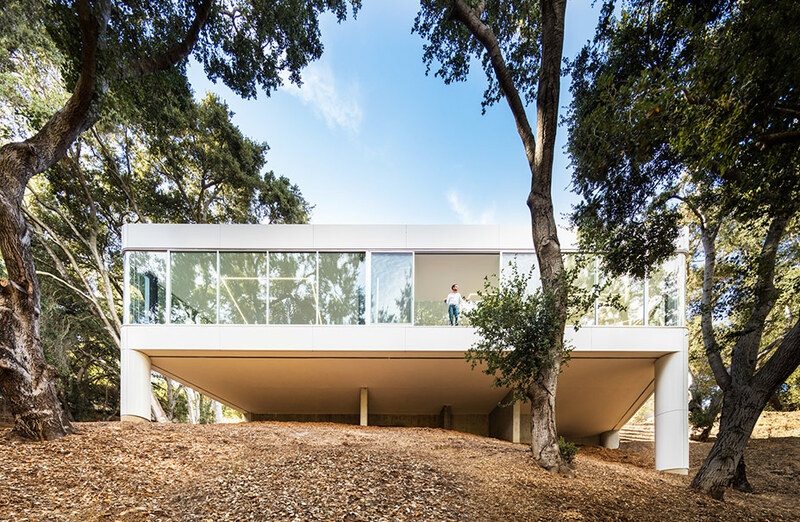 It’s a house that floats in the canopy of a dense Oak grove on the edge of the Santa Cruz mountains, just outside of Cupertino. It’s essentially a glass box hanging in the leaves of the trees on two trunk like columns. We built it this way to disturb as few Oaks as possible. 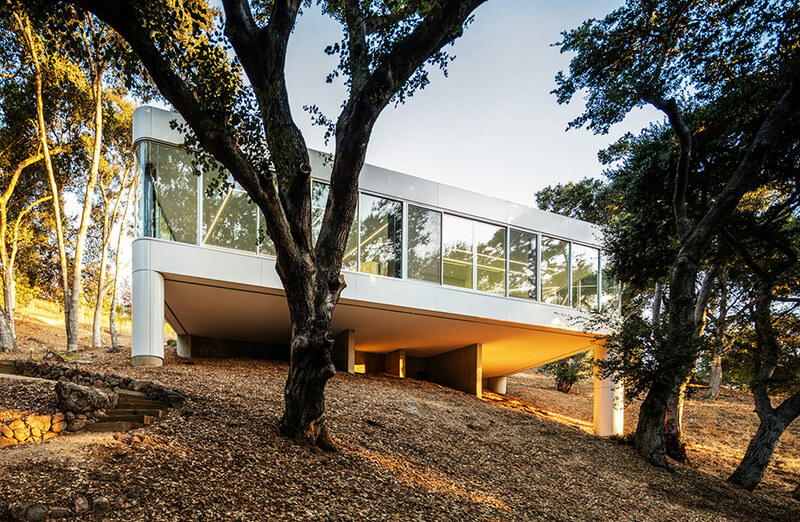 The dense Oak canopy allowed us to build a completely glass walled house, protected from the direct rays of the sun, but filled with dappled sunlight. It feels like a tree house. Can you please share some of the more surprising outcomes that came about during this project? I’m not sure the owners realized how country their site is. A mountain lion pounced on a deer just outside of their living room! Foxes, coyotes, a 6 point buck, wild turkeys hang out on their deck. Now that the house is complete all the wildlife has returned like nothing happened. Once I arrived to show the house to a possible client and the front door was open… I walked in to discover a wild turkey hanging out on the kitchen counter. Seems when the owners had left, the door didn’t close and blew open. Turkey was curious I guess. At what point in any given project do you start thinking of furnishings? Is it more of a finishing touch or is it integral to the whole thinking process? From the beginning. In particular on this one. 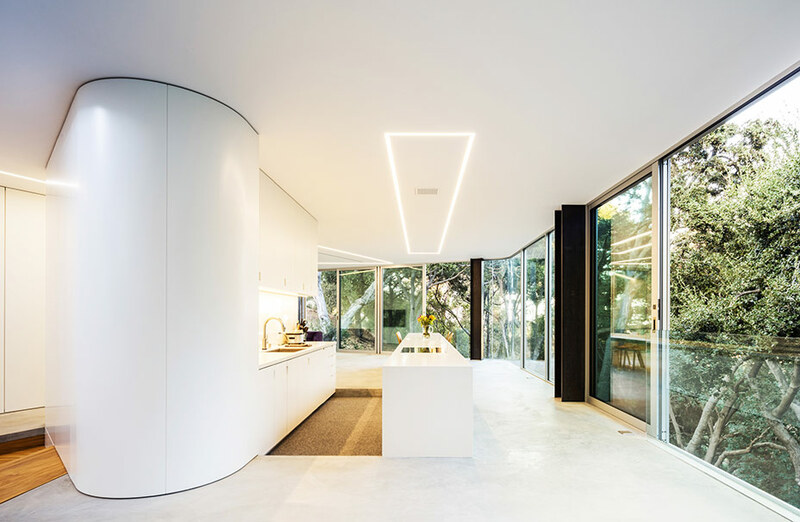 The living area is essentially a large open space and we delineated zones by creating different levels. We designed the sunken living room to fit 144 square feet of BB Italia Tufty time sofa. Fits perfectly in the floor. The office below the stair is sunken as well with the desk at floor level. We designed all the cabinetry, desktop, steps and floor out of the same slab of reclaimed Pistachio. How did you end up in San Francisco and what do you think its effects have been on you and your work? I grew up in the country and remember vividly the first time I was in San Francisco. We rode BART in and came up at Montgomery station. I remember emerging from the escalator at street level and looking to my right and seeing the Crown-Zellerbach building…It floored me. I don’t think I had ever seen a high rise before! San Francisco has always seemed like a mythical place to me. It still does. I’m affected by it in many ways. A combination of it’s topography, it’s history, it’s connection to Latino and Pacific rim culture, the ocean and the mountains being so near. If you were to give your younger self advice in regards to a career in design, what would it be? Hmmm, I don’t know… there’s nothing as depressing as good advice. I’m pretty satisfied how things have turned out.